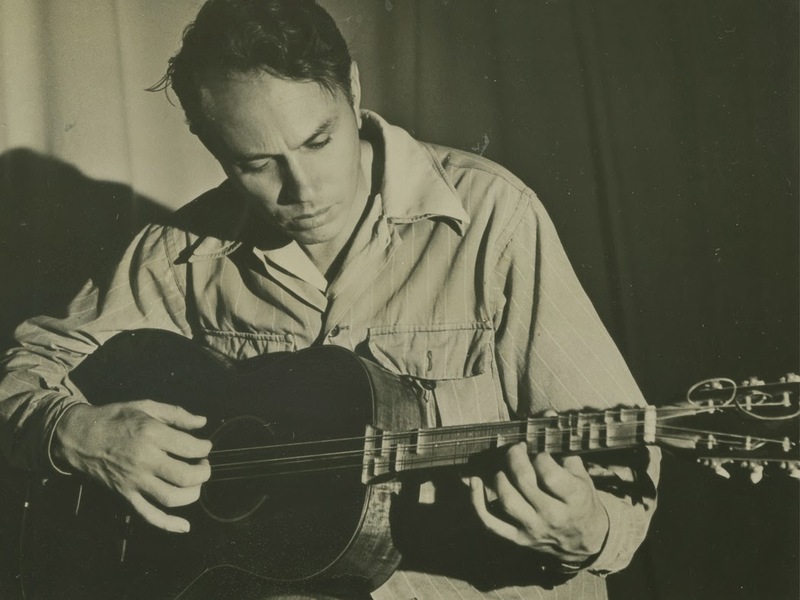 Partch's first Adapted Guitar 1 was a 1927 Martin O-18K parlor guitar that he purchased in New York in 1934. Shortly afterwards – with the aid of a grant from the Carnegie Foundation – Partch departed the United States for London to study the history of intonation at the British Museum. He gradually developed the fretting on this guitar until about 1943, adding frets as new pieces were written and new pitches were required. He replaced the usual low, wire-style frets with high stainless-steel ones fitted into slots in a brass plate, which was screwed onto the neck. The six strings were tuned in three pairs of octaves, separated by the interval of a just major third around Partch's fundamental tone 1/1 [G], producing a justly tuned augmented chord (from low to high): 8/5 [Eb] – 1/1 [G] – 5/4 [B]. Partch wrote: “the instrument is played more like a mandolin than a guitar, but its low range of pitch and 2/1 [octave] pairs contribute to a result that is unlike either." 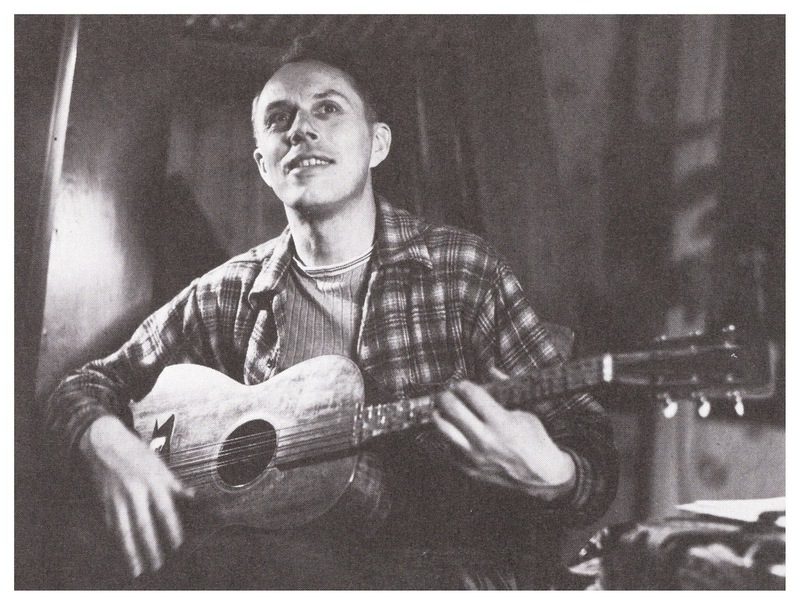 He used this guitar to perform the first versions of Barstow , U.S. Highball , December, 1942  and Letter from Hobo Pablo . 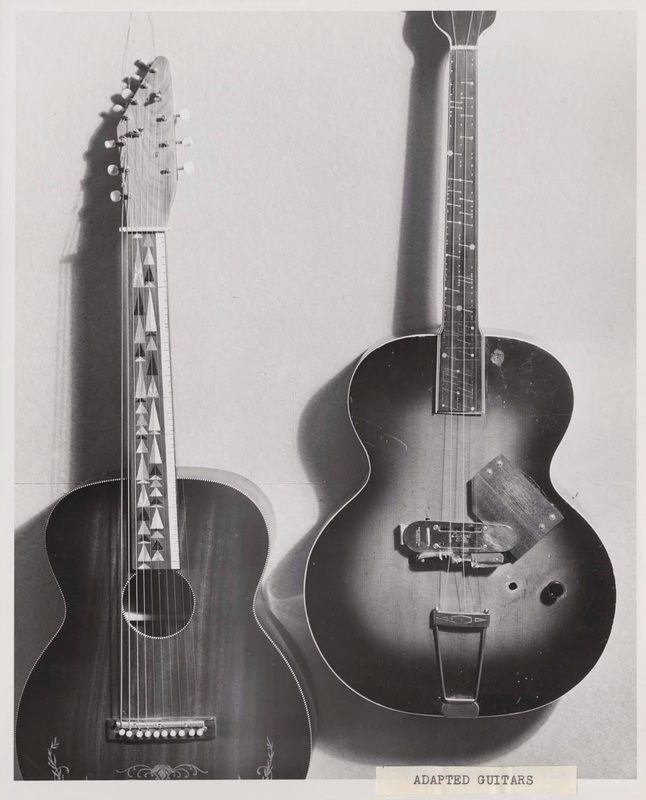 In 1945, whilst at the University of Madison in Wisconsin, he replaced this instrument with a fretless electrified archtop guitar - most likely a late 1930's National 'Electric Spanish' - with pinheads and brass rivets delineating an even greater number of microtonal pitches. 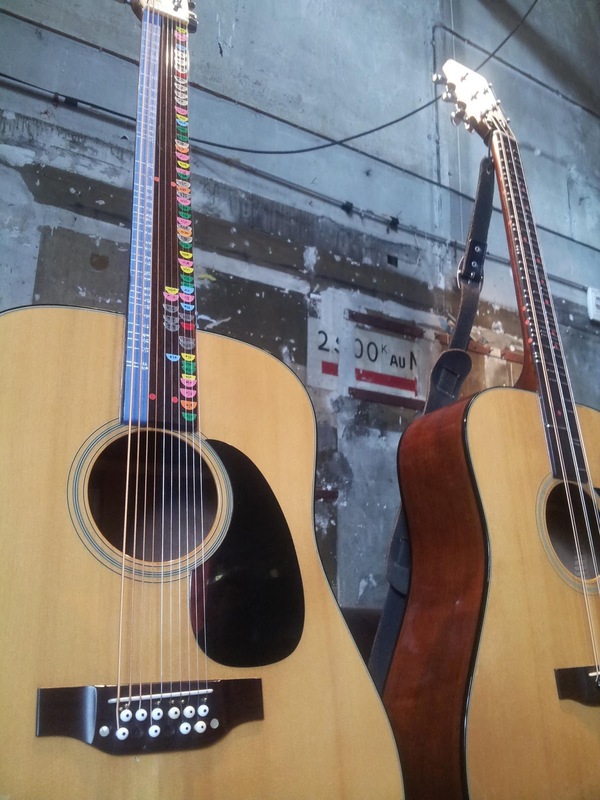 This three-stringed instrument was also named Adapted Guitar 1, and tuned exactly like its acoustic predecessor. It was used up until about 1956 in a handful of pieces - Vanity and 'version B' of The Letter , as well as probably the 1945 and 1946 recordings of U.S. Highball - at which point it was left with friends in Northern California and regrettably lost. 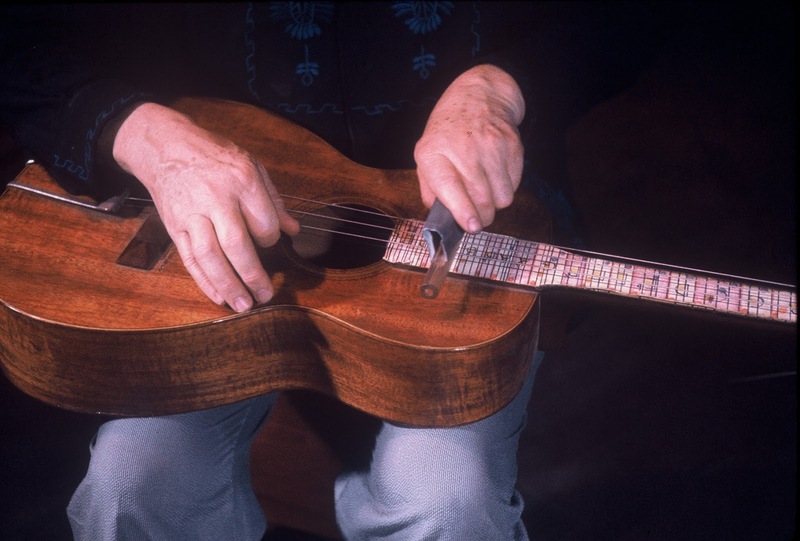 In 1945 or 1946 Partch developed his Adapted Guitar 2, a ten-string acoustic lap steel guitar played Hawaiian-style, with a brass [later, Pyrex] rod to make gliding pitches possible. Originally a 1940's Oahu squareneck model, this guitar was first used in his Eleven Intrusions [1949/1950] and drama King Oedipus , as well as many of the later large-scale ensemble works such as Delusion Of The Fury . It was tuned in various configurations as the works required. Partch’s final guitar was actually a reworking of his very first guitar. At some point in the late 1940's he removed the frets of his original Adapted Guitar 1, painted the fingerboard in bold colours, and converted it too into a lap steel guitar, renaming it Adapted Guitar 3. 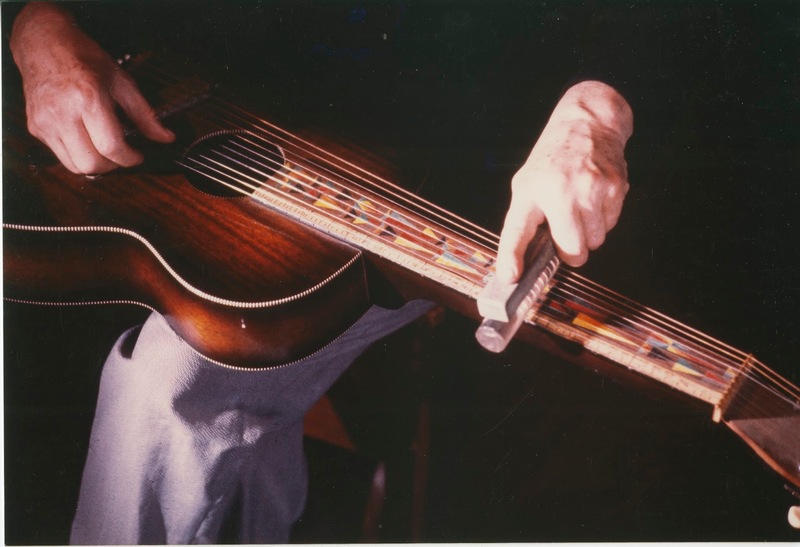 All of this instrument’s strings were tuned to unisons or octaves of G [his fundamental tone, 1/1], and this guitar was used right up until his very last work The Dreamer That Remains, which Partch composed in 1972 for the film of the same name. 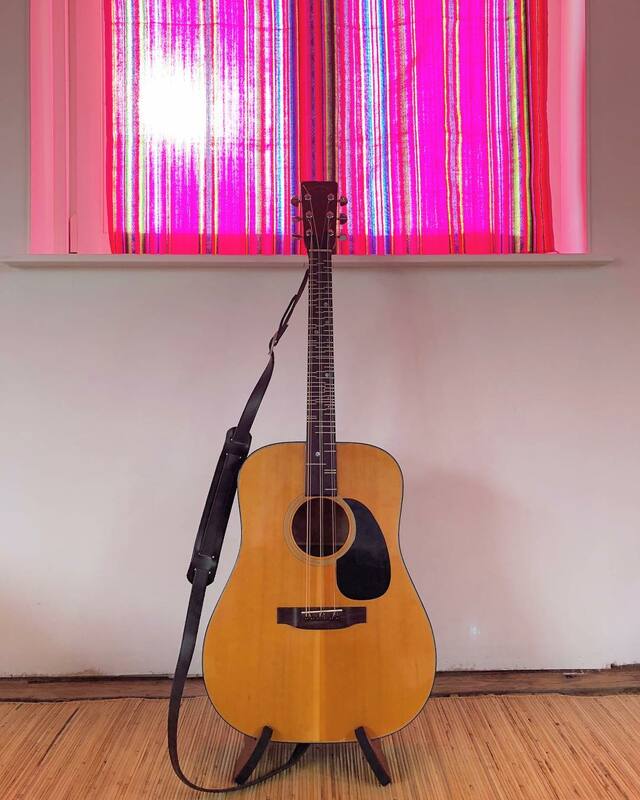 My replica of Adapted Guitar 1 differs from the original in that the body is of the larger 'dreadnought' type, which increases bass resonance and projection [in its former life, it was a 1977 Japanese-made Takamine D-28 clone]. In addition to the frets required to perform the pieces originally composed for the instrument, it also has a number of additional frets, which allow me to perform works originally conceived for other Partch instruments [such as the Adapted Viola and Harmonic Canon II], as well as assist me with microtonal vocal pitching. Apart from narrower string spacing, and a slightly different visual approach to mapping out the multitude of pitches required on Adapted Guitar 2's fretboard, my replica of this instrument is as faithful a replica as was practically possible. Partch's original instrument was a 6-stringed instrument, to which he added four extra strings. I decided to approach the process from the opposite direction, removing two strings from a 12-string acoustic guitar [originally a 1976 Japanese Takamine]. My copy of Adapted Guitar 3 again has a 'dreadnought' Martin D-28 body type, unlike the smaller parlor guitar size of the original. I also took a slightly different approach to the layout of the microtonal pitches for this instrument, echoing the aesthetic approach to Adapted Guitar 2's fretboard. 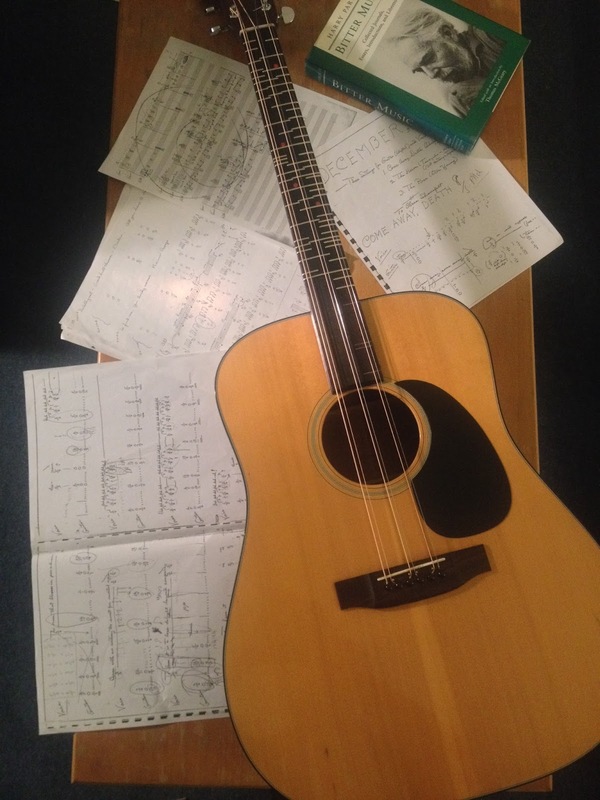 Fret layout, string configurations, tunings and the required microtonal pitches were calculated through a long process of historical research, consultations with Partch scholars around the world, and reverse engineering the relevant original scores. The fretwork and various structural modifications of the original instruments was done by James Mumford of Mumford Guitars. The microtonal indications on Adapted Guitar 2 and Adapted Guitar 3 were painstakingly done by Tess E. McKenzie. 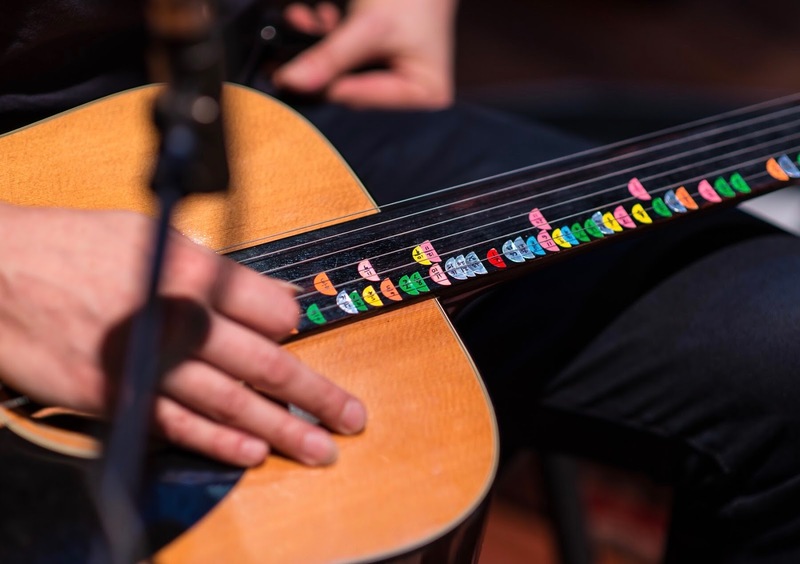 Financial support for the additional fretwork on Adapted Guitar 1 and the replica of Adapted Guitar 2 and its pickup was generously provided by Scordatura Ensemble as part of their 'Rose Petal Jam' project during 2016-17.